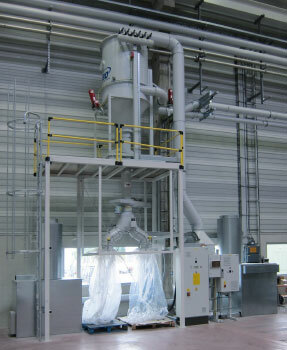 With our extraction systems for plastics processing, you have the guarantee of a constant and high level of extraction – without any dust, swarf or filings remaining behind. As a result, the quality of your boards, profiles, and other work-pieces will remain faultless. 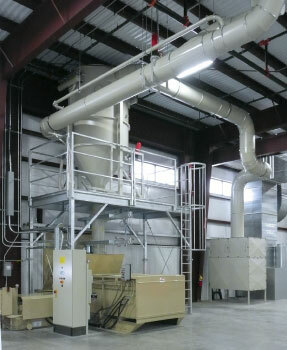 Whether you manufacture, process, or trade in plastics, you need an extraction unit that will meet your needs, in terms of size, design, and space. With ERBO, you get a custom solution. Our company can provide everything from simple extraction units with a container for swarf and filings, to fully automatic systems for extraction from several machines. In addition, the disposal of swarf and filings is accomplished with the aid of screw conveyors, conveyor belts and briquette presses. We’re happy to give you a consultation!